Meeting and wedding planners seeking getaway locations should consider Claremont, California, featuring modern conference facilities, outdoor spaces to take advantage of the state’s great weather, local entertainment choices, modern cuisine, fine arts, and other attractive local features. 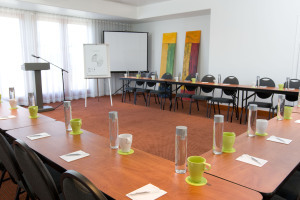 Claremont has five hotel properties and 449 room, with full-service hotels DoubleTree by Hilton Hotel Claremont andHotel Casa 425 providing guests with meeting and event services. Claremont is close to two major freeways and a short 10-minute drive from Ontario International Airport. The Metrolink train system has frequent stops, and the planned extension of the Metro Gold Line will add even more convenient local rail service. Local transportation services offer regular service into and out of Claremont. The DoubleTree by Hilton Hotel Claremont features 12,000 square feet of indoor and outdoor meeting space. Its catering staff can make all your event ideas come to life. Their Claremont meeting rooms have drop-down screens, chandelier and recessed lighting. The unique ambiance and tastefully furnished accommodations offer the perfect setting for guests to be comfortable, relax and be productive. Call 1-909-626-2411. Hotel Casa 425 offers a sophisticated yet relaxing venue for your upcoming event, business meeting, luncheon, board retreat, or a private party. Their beautiful and private Casa Room is ideal for an intimate dinner, luncheon or a more formal business meeting and will accommodate up to 50 guests. Its outdoor patio is capable of large gatherings up to 250. Call 1-866-450-0425. With great Southern California weather, abundant hotel rooms, and gorgeous tree-lined settings, local wedding planners have long looked to Claremont for outdoor ceremonies. 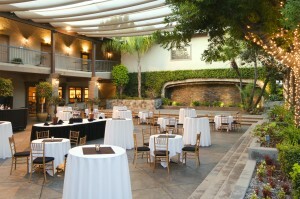 Great venues include theDoubleTree by Hilton, Casa 425, the Padua Hills Theater, and Rancho Santa Ana Botanic Garden. Planners considering travel to Ontario or Pomona for conventions and conferences should look at booking their guests away in relaxing Claremont. 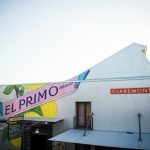 Just 10 minutes from the Ontario Convention Center, Claremont provides conventioneers with a quieter setting, surrounded by a “food neighborhood” that’s “worth the drive,” live entertainment, and a walkable downtown Village.